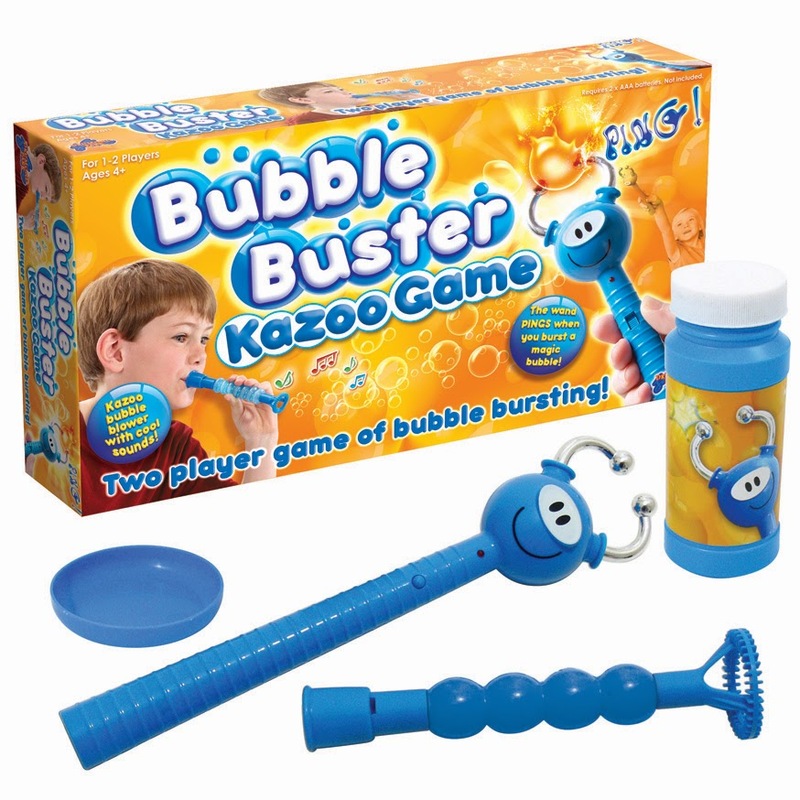 COMPETITION: Win Bubble Buster Kazoo Game! For this month's give-away of a game from Drumond Park, we're offering one lucky reader the chance to win a copy of the Bubble Buster Kazoo Game. But before we get to the competition, lets rip open the box, take a deep breath, and prepare to get bubble busting. Bubble Buster Kazoo Game couldn't be easier to explain. Two players take it in turns to be the bubble blower and the bubble buster, each having their own very important piece of kit. 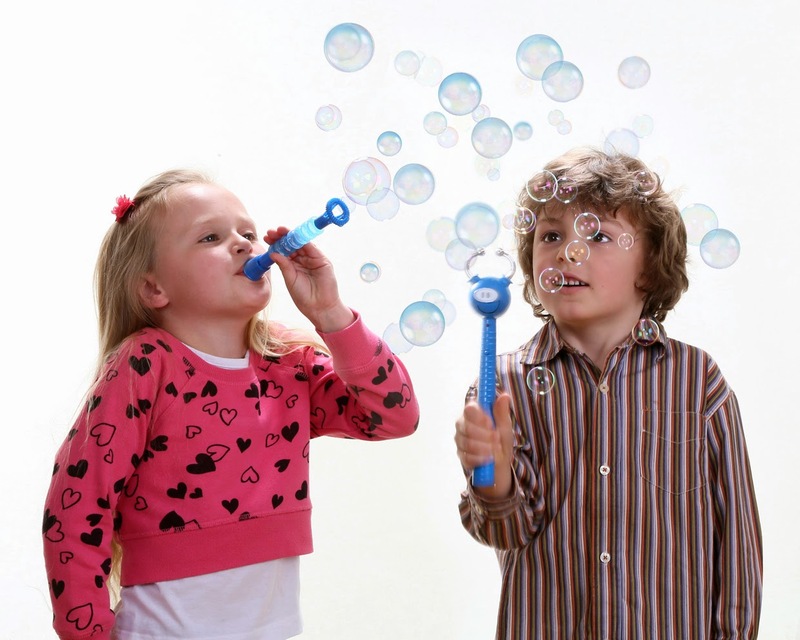 The bubble blower has the kazoo itself; a combination bubble blower/musical instrument (if what you can call what we created with it music), while the bubble buster is armed with the clever two-pronged wand. The Bubble blower gets blowing (thankfully bubble solution is included - so Christmas Day isn't ruined) and the buster gets busting. The aim is to pop as many of the bubbles as your opponent can blow, with the wand registering and recording every time you make contact with a bubble (that's why it's so clever). At the end of the allotted time the wand will tell you how many bubbles you popped. Swap roles and see who can get the higher score. Fun doesn't quite describe Bubble Buster Kazoo Game, neither does simplicity. We've all had hours of fun popping bubbles whenever anyone gets out the old soapy solution, so to turn it into a game was a genius move on Drumond Park's part. The addition of the digital wand is brilliant as it lets you go crazy with the popping, trusting that those two prongs will record every hit. To enter simply follow @thetestpit on Twitter, or if you're already following us, retweet any tweet before 15th May 2014. The competition will close at 5pm on 15th May 2014 and the winner will be notified soon after. UK entrants only please. The judges' decision is final. For T&Cs please send us an email. Next month we'll be reviewing and giving away a copy of Drumond Park's Logo What Am I game!